I finally got my Dad’s “Samurai-ish” quilt back from the quilt shop! (We had quite a delay because my backing was inches too short and they forgot to call me. Oops for both of us!) 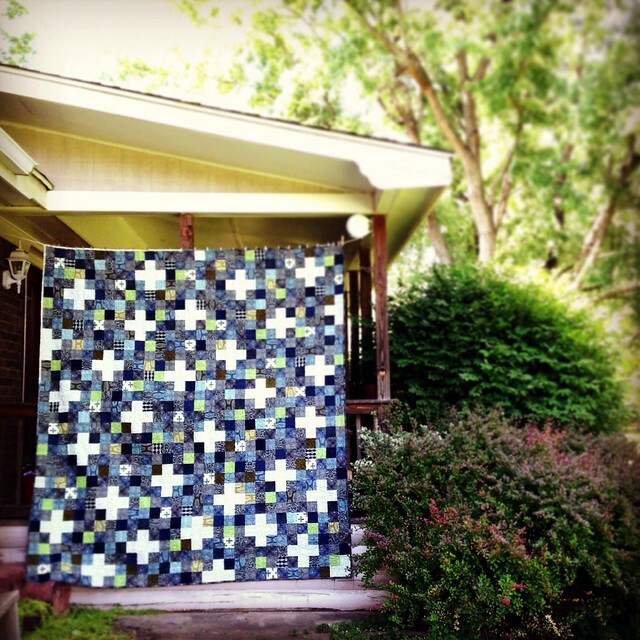 It’s made from mostly Parson Gray’s Curious Nature line and some random semi-solids from the quilt shop. 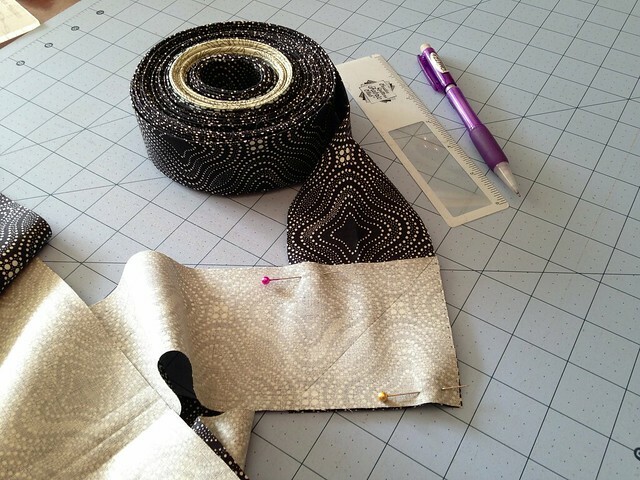 Parson Gray’s fabrics are GORGEOUS! They’re masculine without beating you over the head about it, and somehow have a Japanese vibe to me. I’m not imagining it, my friend Kaori who is Japanese said they looked like Samurai fabrics, so she named the quilt. Kaori’s daughter Anna spent a summer with us and my Dad (“Pop” to Anna and his other granddaughters) just loved her, so it’s nice to connect them to the quilt, too. 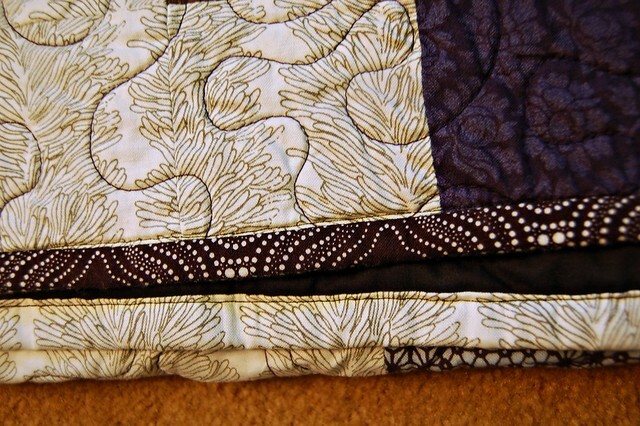 Another detail about the quilt: it’s made from 3.5″ squares and NO strip piecing. I really love my Dad. I spent the weekend doing binding. 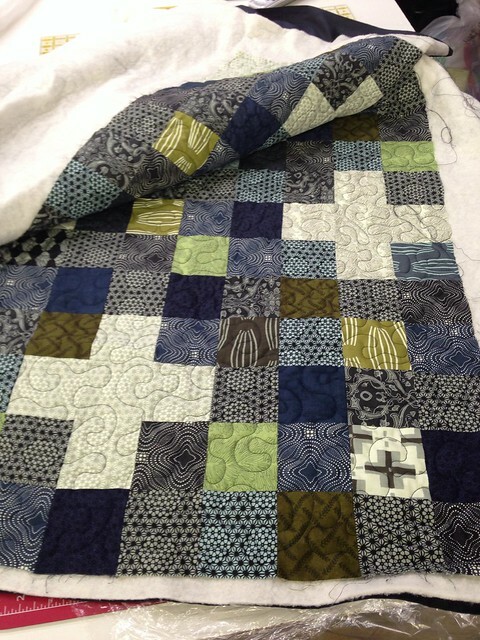 I love a scrappy binding, so I added white and paler blue in the upper left corner. Then for the first time I attempted to sew the binding entirely by machine. I’ve always taken the time to stitch down the back by hand, which leaves invisible stitches. 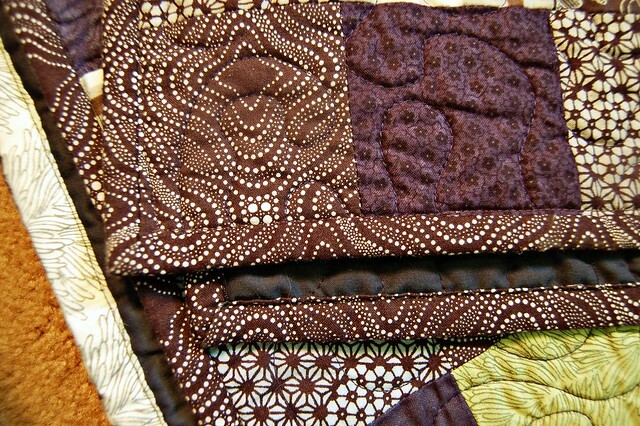 I love the look, but I give my quilts as gifts and time … well, sometimes there’s just not as much of it as I’d like. So I decided it’s OK to try sewing down the binding by machine, especially since this one is a queen sized quilt (huge!) and is completely free to the new owner. So a little practicing shouldn’t hurt too much, right? The black thread almost disappears on dark fabrics, but is really visible against the white. As I said, this one’s for Dad, so he’s getting a cross quilt to go along with the cross quilt I made for his granddaughter (my niece), Alexis. 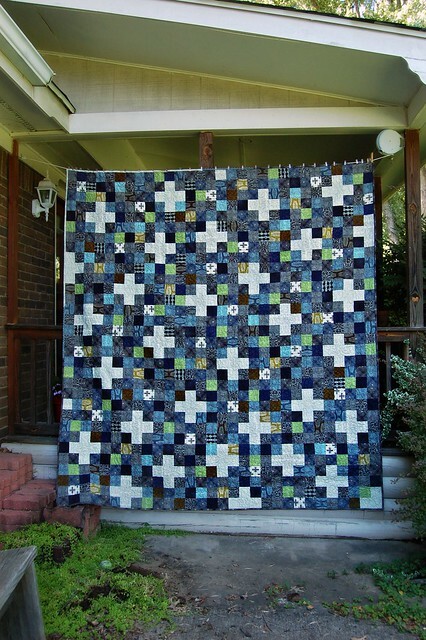 My Mom also got a cross quilt. I just like the idea of them connecting back in some way to Alexis. Her parents, my brother and my sister-in-law, got a quilt made from the left over fabrics in Alexis’ quilt. 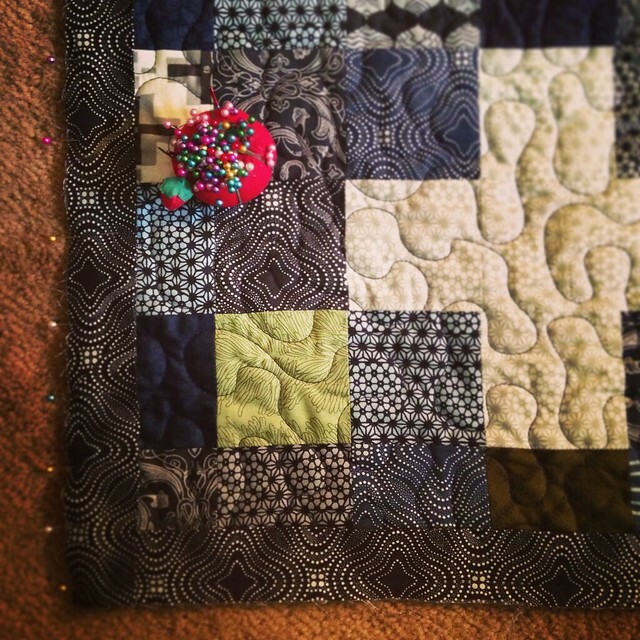 For some reason this quilt just never wants to photograph well. I’ll try again when it’s in place on Dad’s bed. It takes a bit of practice (worked for me on a baby quilt, less so on a lap quilt), but the outcome is beautiful. Will definitely be practicing this more. I got that baby quilt bound in less than an hour. Thank you, Douglas! As soon as I saw these fabrics, I knew I wanted to make a quilt for my Dad with them. I’m sure I’ll be using Parson Gray again, too!